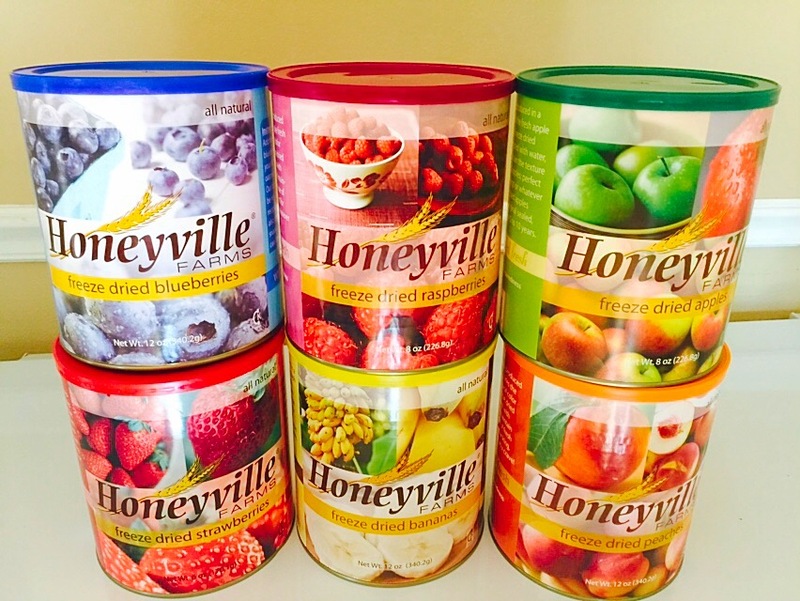 7 Delicious Ways to use Freeze Dried Fruit + Honeyville Giveaway! I must admit, I had never even tried anything freeze dried until about a year ago. I got really motivated to get my family prepared for an emergency and thought it would be wise to purchase some freeze dried foods. I’m not the best at remembering to rotate food storage so I must confess that the number one reason for buying freeze dried foods (for me) is the long shelf life. Basically, I can put it on my shelf and go about my life and not worry it’s going to expire anytime soon. Another reason I wanted to invest in some freeze dried foods is for the nutrition value. If my husband loses his job or we find ourselves in a situation where we can’t get food at the store, I want food that will still give us the vitamins we need. My favorite freeze dried products are the freeze dried fruits because they are the easiest to incorporate into our everyday lives and my family loves them! Honeyville recently sent me some of their freeze dried fruit to try and I have since decided that I might have to HIDE my freeze dried fruit if I want to have any left on the shelf for emergencies. My kids have loved all the different varieties. I think a lot of people are afraid to buy freeze dried food because they aren’t sure how to use it or because they think it’s too expensive. I have found that Honeyville has some of the best pricing around and I love having fruit in my pantry that I can add at a moments notice and not worry about it spoiling. 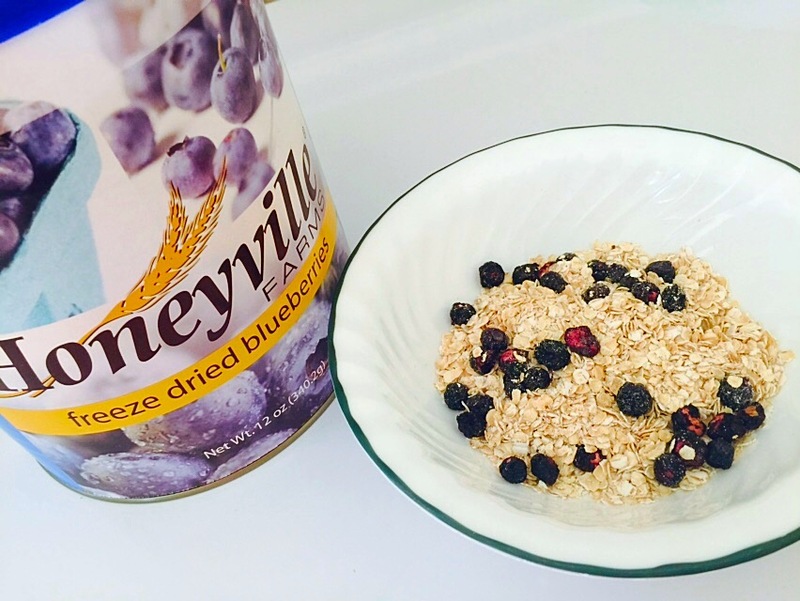 Here are 7 delicious ways we have found to use our freeze dried fruit! 1. Granola. Who doesn’t love fruit in their granola or cereal?? And what’s even better than granola with freeze dried fruit? 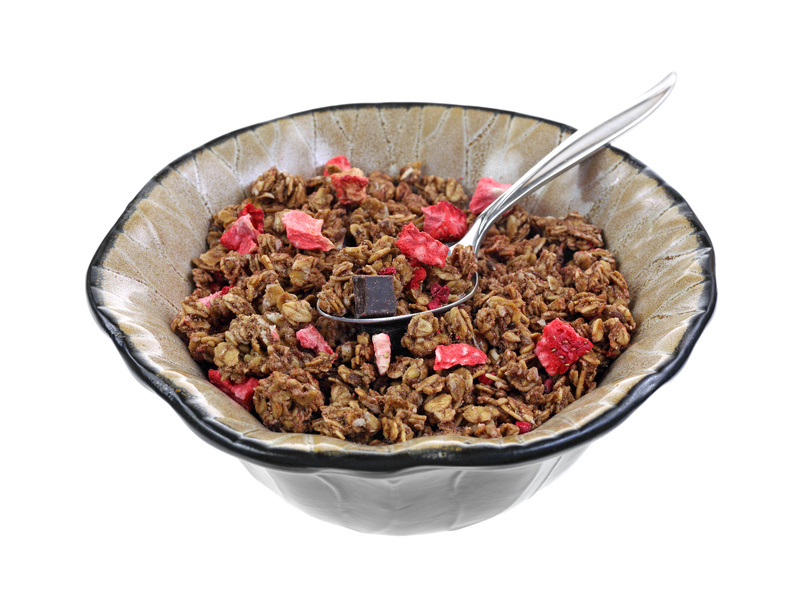 CHOCOLATE granola with freeze dried strawberries! Here’s a great recipe cause I know you’re trying to wipe the drool off your screen right now. You’re welcome! 2. 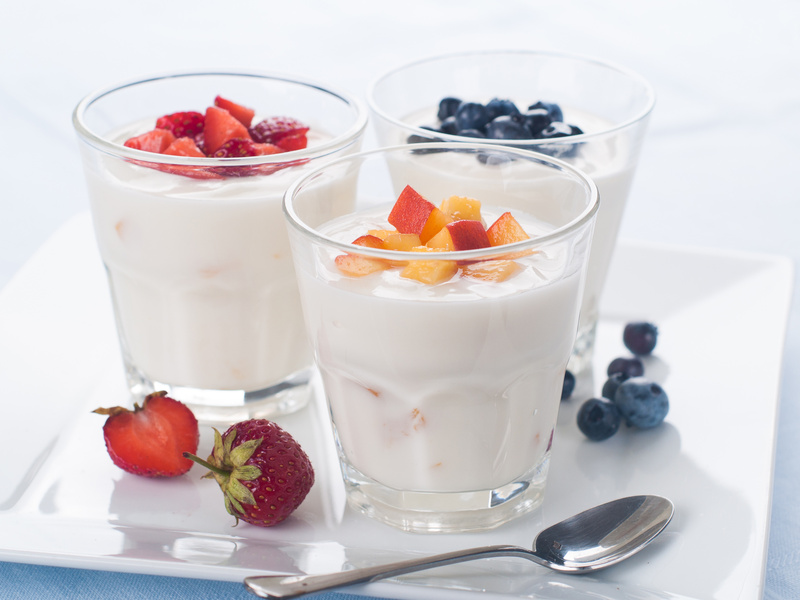 Yogurt. I’m a big fan of buying greek yogurt and adding in fruit, nuts, and seeds to make a huge bowl full of goodness! Drizzle some honey on top and just call it heaven! With freeze dried fruit, I usually rehydrate first, but if you don’t mind the crunch, you could just add it dry. 3. Trail Mix. Add some nuts and any other trail mix favorites to your freeze dried fruit and not only do you have a quick and healthy snack, you’ve got a quick breakfast if you’re running out the door! 4. Smoothies. Freeze dried fruit can easily be added to smoothies! When I think about how many smoothies we make at our house, this is a definite plus! 5. Cookies! Yep, you heard me correctly. If you love the chocolate/strawberry combo, you will love this recipe for Strawberry Chocolate Chunk cookies from Picky Palate using freeze dried strawberries! 6. Right out of the can. Need I say more? This is how my family enjoys freeze dried fruit the majority of the time! 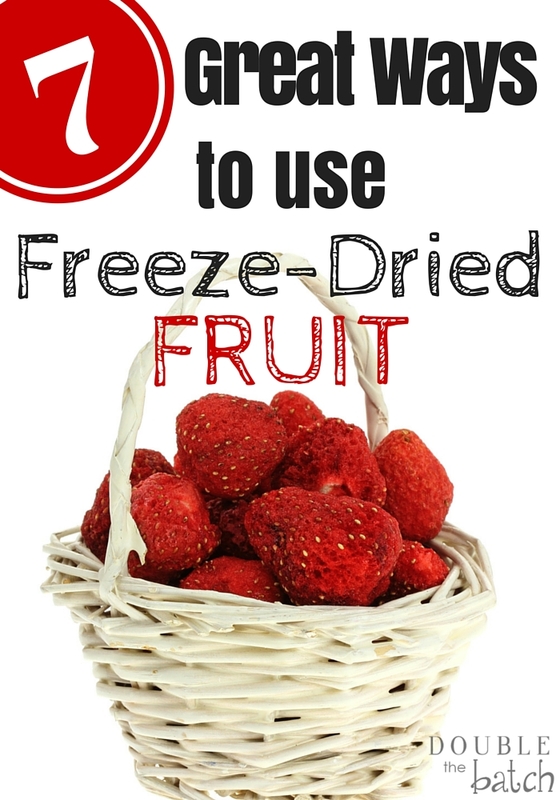 Our favorites are freeze dried strawberries, freeze dried peaches, and freeze dried pineapple! 7. Homemade Instant oatmeal Packets. I recently started homeschooling 2 of my kids which means what little time I had before is even less now! Last week I taught them how to be more independent and make their own breakfast. Instant oatmeal is an easy one for them but I don’t like the kind from the store that is full of sugar and preservatives so we make our own. 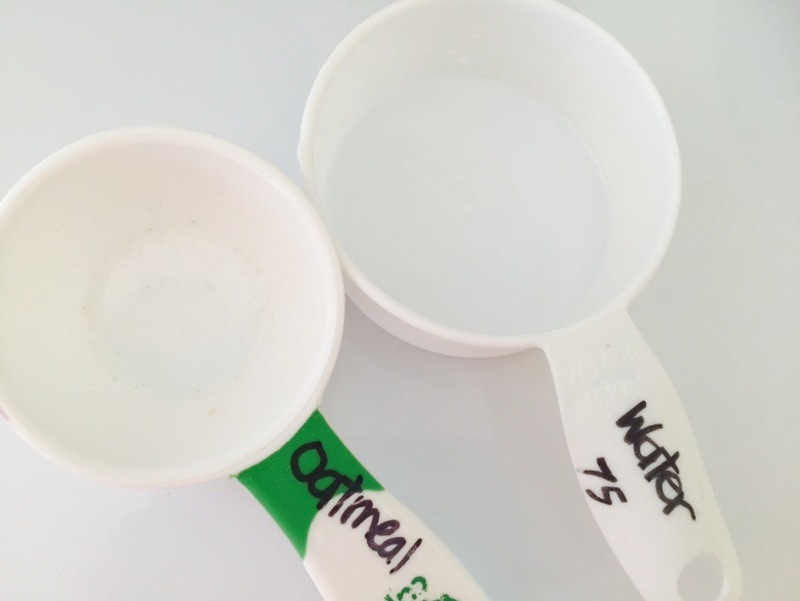 I labeled 2 measuring cups just for making oatmeal to make it easier. They add the oatmeal, the freeze dried fruit of their choice, water, and cook it in the microwave. (we use about 1/2 cup instant oats, 2/3 cup water, and a small amount of freeze dried fruit, and then microwave for 75 seconds) Then they stir in a teaspoon of honey or brown sugar. Delicious, Nutritious, and oh so much less hectic for mom every morning! Yay! Honeyville also sent me a Luminaid Packlight, which I was excited about since I have been wanting to try one for sometime now. 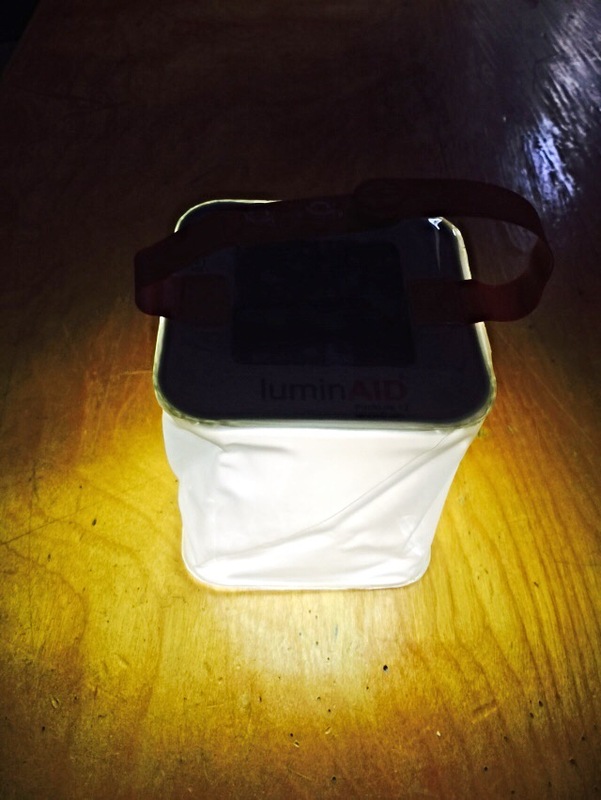 Basically, it’s a compact, portable solar lantern that folds up small enough to fit in your back pocket! Just place it in the sun during the day to charge it and you have light at night! 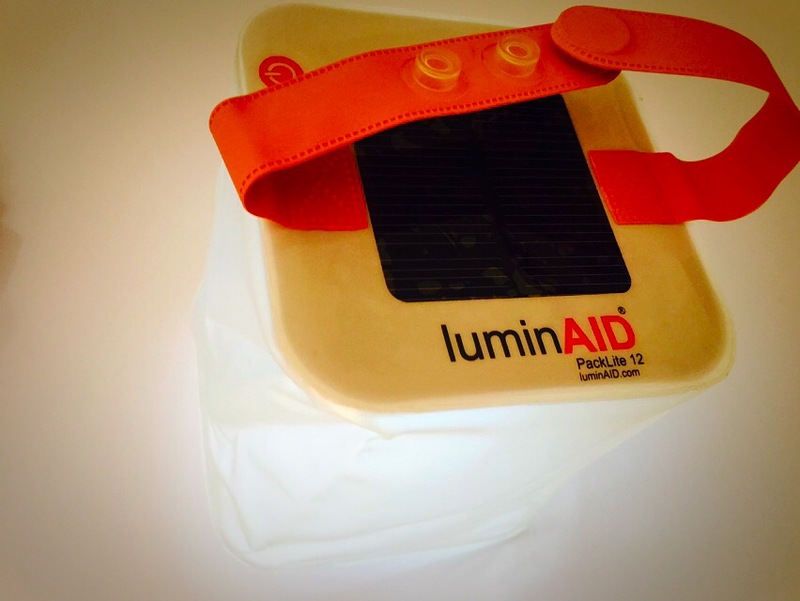 I’m not only adding this one to my 72 hour kit, I’m planning on buying the Luminaid Solar Light to add to our kits! 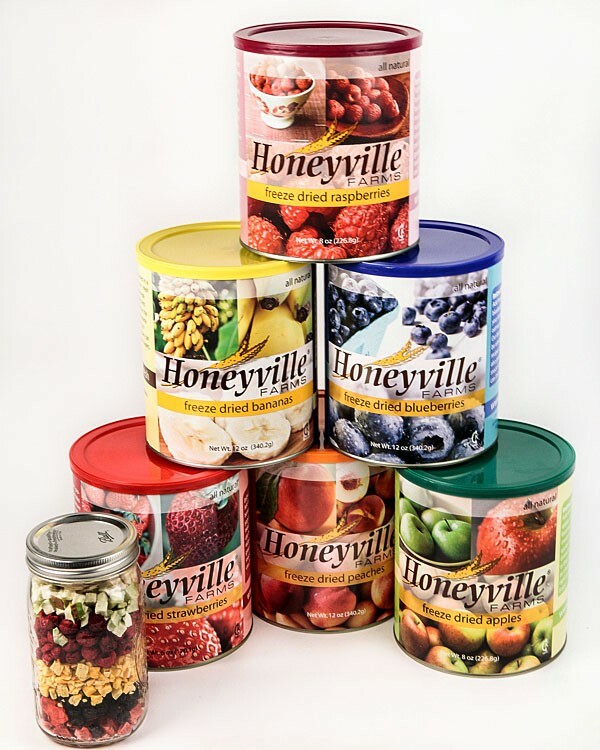 My family has been very impressed with Honeyville over the years and I highly recommend them for your food storage/emergency preparedness needs! They have excellent customer service, $4.99 flat rate shipping on all orders, and very competitive pricing. They have also been nice enough to do a giveaway for all of our readers! If you would like to try their delicious freeze dried fruit combo, now is your chance! To enter, use the rafflecopter below & like Double the Batch and Honeyville on facebook! May the odds be ever in your favor! This is a sponsored conversation written by me on behalf of Honeyville. The opinions and text are all mine.